Ohh… my Tupperware… my ever-favorite Tupperware dishes in my childhood. Almost all of my lunchboxes were from Tupperware. 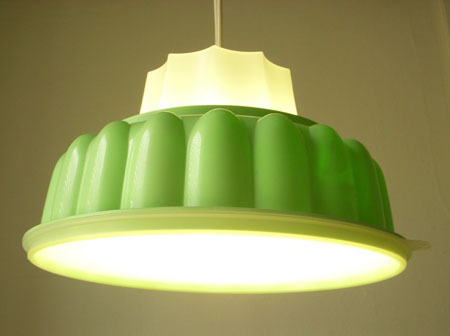 Aside from lunch boxes and bowls, Tupperware also has this old-school molds that used to make Jello. Surely, you have pictured out how they look like. 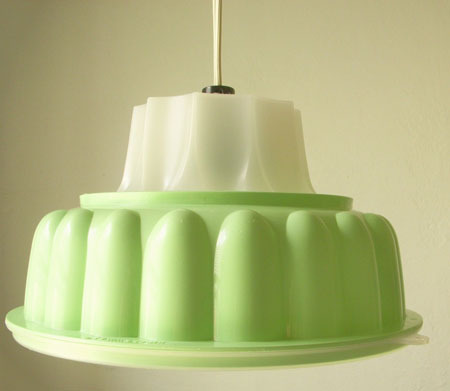 And with today’s modern Jello mold designs, the Tupperware seems like being set-aside. 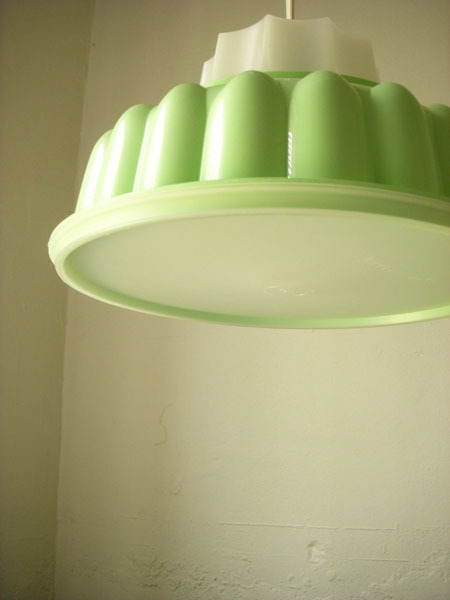 However, BootsNGus gives these old Tupperware dishes a new life through a wonderful creation called Upcycled Recycled Tupperware TupperLight Retro Mint Green Jell-O Mold Hanging Pendant Light Fixtures. 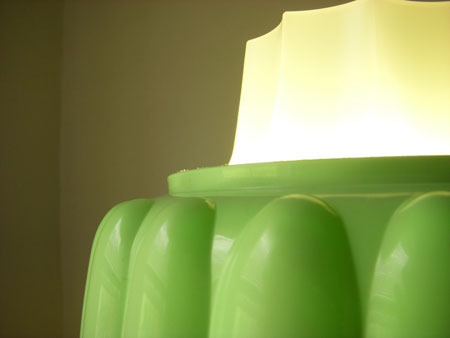 Include in the package when you buy this pendant lamp is an energy efficient 14watt bulb and a UL tested cord from IKEA.